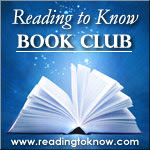 This month Stephanie from Stephanie's Mommy Brain is hosting the Reading to Know Book Club. She selected Professionalizing Motherhood , by Jill Savage. Her post is the official start of this month's book club discussion. She shares her thoughts with us below. I have to tell you, I love her thoughts here. She outright disagrees with the particular issue that *I* took with the book and she feels free to say so. Which creates fun discussion. So, THANKS, Stephanie for feeling free to tell it like you see it. Oh wait. That's why I like you, generally speaking . . .
Professionalizing Motherhood :: Another Viewpoint. In November 2006 hormones, sleep deprivation, and extreme exhaustion threatened to completely overwhelm me. At the time I mothered a 3.5 year old, a 21 month old, and a 3 month old. I counted the hours until my husband came home before he had even left for work! Unlike Carrie, my mom worked most of my childhood. BOTH of my grandmothers worked while raising their children. My mother-in-law, a missionary in Asia when her children were born, hired "helpers" to assist with the cleaning and daily chores in her home. So, I entered motherhood without witnessing a stay-at-home role model or a mentor to guide me through the tumultuous early days. At some point during November 2006 I picked up Professionalizing Motherhood: Encouraging, Educating, and Equipping Mothers At Home by Jill Savage. As I read, I felt like someone had thrown me a life preserver. Here was an author who had been where I was and had lived to tell the tale! I related to Jill's motherhood stories. And, like Jill, I had taken part in more than one conversation that ended awkwardly when I told my husband's co-workers that I was a stay-at-home mom. I think it's unfortunate that Carrie (and others in the comments) took exception to the word "professional" as applied to motherhood. The idea of motherhood being a chosen career greatly appealed to me 6 years ago, and still appeals to me today. I believe this quote is the heart of Professionalizing Motherhood. But Jill doesn't just talk in the theoretical, she also gives practical tips for moms at home. Jill offers examples of how to have fun (something my task oriented self frequently needs reminding of! ), how to incorporate prayer into daily family life, and a ton of other ideas to help moms (and dads!) at home balance the tasks of life with the role of building healthy young people. Rereading Professionalizing Motherhood 6 years later as a mom of 4 kids (3, 6, 7, and 9 years old) was a different experience from the first reading. Back then I hung on to sanity by a thread. Today I am a confident (um... opinionated?) experienced mom. In 2006, I gleaned a bunch of ideas I wanted to incorporate into our family life. I felt encouraged that if Jill could do this motherhood thing well, then so could I. In 2012, I remembered all of those former ideas (unlike Carrie I write in my books) and took satisfaction in the ways they have been implemented in our family. This time I walk away from Professionalizing Motherhood encouraged that I am doing this motherhood thing well, not perfectly, but well. I sincerely hope that you don't let Carrie's issues with the term "professional" keep you from reading Professionalizing Motherhood. For me, the book lives up to its promise of "encouraging, educating, and equipping mothers at home". I urge you to pick up a copy today and be the judge yourself! Did you read this book? Care to share your thoughts with us? If you've written up a blog post sharing your thoughts, please link it below in the comment section. If you don't have a blog, but would like to share some thoughts on this title, please feel free to do so. Next month's book club read is Uncle Tom's Cabin. More about that on Monday! Have a great weekend, folks! I definitely like hearing the other side! Thanks! I've really been pondering the post and comments from last week since then. My thoughts are more along Carrie's, but I enjoyed reading Stephanie's thoughts and seeing how the book has helped her. Thanks for posting this! My (first) baby is 7 weeks old, and I've been completely overwhelmed, mostly with trying to figure out how to balance life with taking care of the baby. This review makes me think this book might be a beneficial read. Glad to post Stephanie's opinion aside my own. I just want to be clear, in case readers of this post don't bother to read my original thoughts, I don't think this book is BAD. I just didn't connect with it and as Stephanie points out, our histories are very different. Mine makes the idea of being a stay-at-home mom seem predictable and The Thing to Do. A new mom, coming at the idea of being a mother (and a stay-at-home one at that!) could find Professionalizing Motherhood to be more useful. Clearly it helped Stephanie. Personally, I would recommend other books over this one to new mothers or to those who are contemplating becoming SAHMs. I don't think this title expresses the idea of the sacrifice involved very well and I've discovered of new moms who are setting expectations of How They Will Be Mom that they are usually envisioning cloth diapers, healthy meals, kissing each and every boo boo, children who obey perfectly and miraculously, laundry piles that actually come to an end and "me time" just to name a few things. I prefer to deal with the nitty gritty stuff FIRST when I'm tackling a new issue so that I can comprehend the challenges (as best as possible) and THEN I am able to take in ideas of how to do this as best as possible. I don't view motherhood as a profession. I view it as a lifestyle that requires much of me and I, in my own strength, would fail at it miserably unless I believed that I was called by God to do this very thing and therefore trusted that He would help me through it. And He does! But I have to die to self. And that's not a part of a regular working/office environment which is why I take issue with the title and idea of this book, GENERALLY speaking.